Now you can practice with some of our most popular knife designs, in relative safety, with our new rubber training knives. 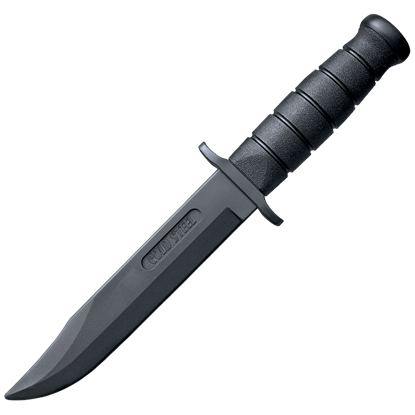 We have rubber training versions of our Peace Keeper I, the R1 Military Classic, Recon Tanto, and the Black Bear Classic. Each training knife has been carefully fashioned to look as realistic as possible so they can be effectively used in solo practice, training drills, disarm drills, and demonstrations and any other activity where you want a reasonably close approximation of realism but not the extreme danger and risk associated with an actual knife. These rubber blades are soft enough to prevent the likelihood of most bodily injury. They do however, have a level of firmness that might cause injury to the face or the eyes, so it is recommended that appropriate eye protection or a fencing mask is utilized at all times when using a rubber training knife. 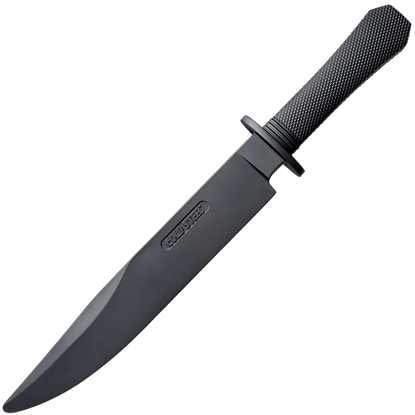 Brush up on your blade-wielding skills with the Black Bear Classic Rubber Training Knife. 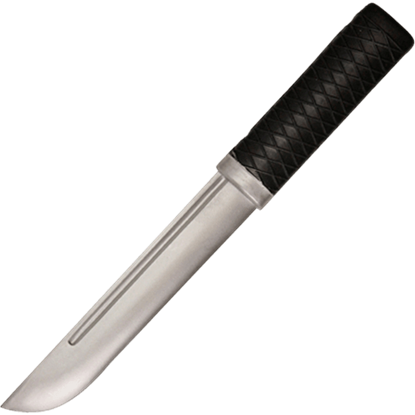 Use this training weapon for occasions that call for the look of a realistic knife without the dangers associated with an actual blade. 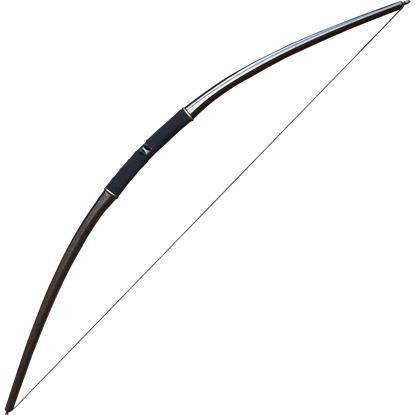 An ideal weapon for younger LARPers or close quarters warriors, the Black IDV LARP Bow - 120cm is a small, reliable ranged weapon for medieval reenactors and role players. Taking down enemies from a distance is always a load of fun! 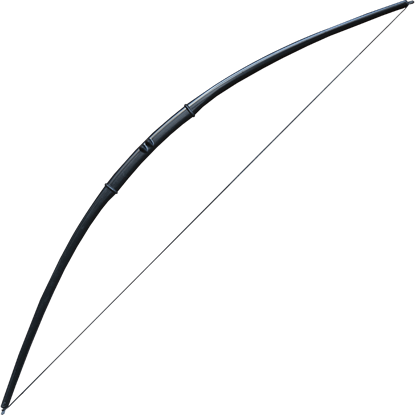 For LARPers who wish to experience battle from a distance, LARP bows such as the Black IDV LARP Bow - 140cm are the perfect weapons! Some might enjoy hitting things with swords, but shooting enemies with arrows can be fun too! 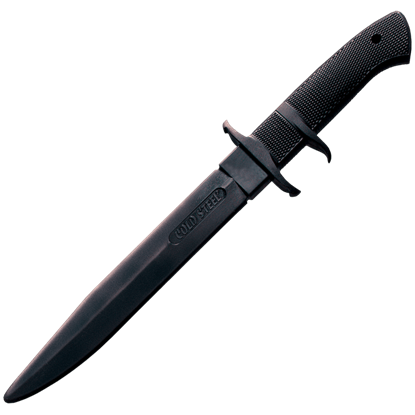 Practice your hand to hand combat maneuvers with this Crosshatch Handle Rubber Training Knife. Made with the same weight and size as a metal knife, this practice knife will withstand the abuse of training without risk of injury. Before you are ready to wield a wicked blade, training is a must. Make practice safe when you use the Curved Blade Rubber Training Knife. 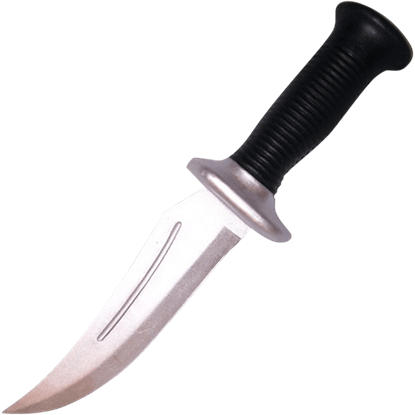 This rubber knife features a dramatic clip point blade attached to a molded, textured grip. Designed primarily for chopping, the kukri is a versatile utility tool commonly found in Nepal, where it is the national knife. 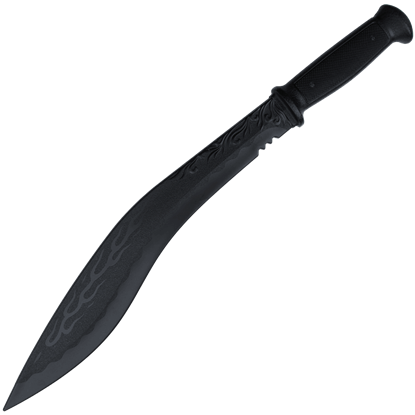 The Ebony Flames Training Kukri is an excellent instrument for practicing close-quarters combat. 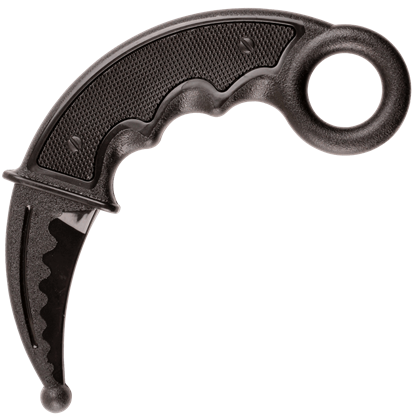 Inspired by the claws of big cats, the karambit is a small, curved knife of southeast Asia. This Ebony Training Karambit is made of polypropylene, a durable polymer, so you may learn to wield it without injuring yourself or others. 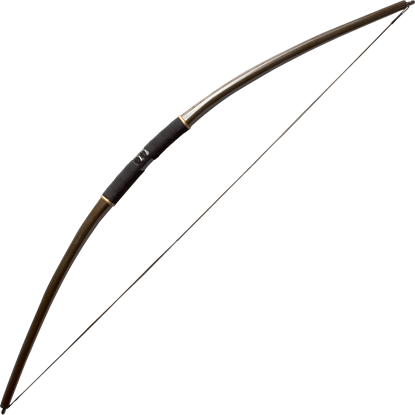 The enemy still has a long way to go before they collide with your army, but they just entered the range of the Gold IDV LARP Bow - 120cm that you carry, so let arrows rain from the sky! Take aim and fire for the glory of victory! You might be situated at the rear of the army, but as an archer, you are the first line of attack against the enemy. With your fellow archers, you will rain down arrows using the Gold IDV LARP Bow - 140cm until they arrive! Now you can practice with another of Cold Steels popular knife designs, in relatively safety, with this Laredo Bowie Rubber Training Knife! This knife has been crafted to provide a realistic look without the risk of danger or injury. Practice your knife skills one of the most popular knife designs when you wield the Leatherneck-SF Rubber Training Knife, ideal for training drills, disarm drills, and demonstrations where you need a safe alternative to a real blade. In order to become proficient in any weapon or combat style, training is a key component. 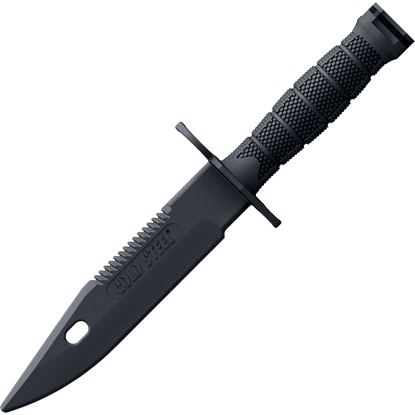 The M9 Rubber Training Bayonet by Cold Steel is a wonderful tool for those seeking to improve their abilities in effectively wielding a bayonet.